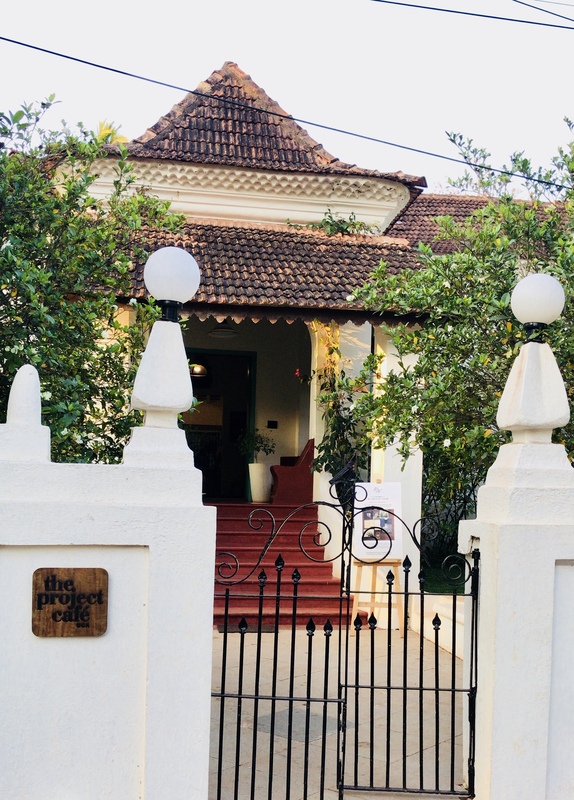 Nestled in the midst of this oasis of relative tranquillity is The Project Café (TPC) Goa, an experiential eco-friendly design hotel for the discerning traveller, where boho meets highbrow and art meets appreciation. Oozing an old-world grace and character, Amalia House, the refurbished 130-year-old Portuguese villa which houses The Project Café, draws you like a magnet. Is it the strikingly beautiful Bismarckia palm tree that is noticeable from the road as you walk by, that interesting ceramic installation in the garden, the shell and mother-of-pearl inserted window shutters, or the gorgeous teal and white colour palette of the villa, that begs you to open the little gate and let yourself in. Once inside you are enveloped by art. Art that has been taken out of the confines of conventional gallery space, and made functional and interactive. You can experience it, touch it, be a part of it and buy it. The retail model #EverythingForSale allows you to purchase every object, from furniture to crockery, that has gone into designing the interiors. You also feel an immediate sense of detachment from the real world as soon as you enter the property. Reason? Because there is no mobile network in that area. No connectivity can be such a blessing, especially if you are in the need of some social media detox. Like I was. But that was not the only reason why I checked into The Project Café Goa. I had eaten at their restaurant on an earlier visit and loved the delicious global cuisine they serve. The menu is not extensive and confusing and since the chef relies on locally sourced seasonal produce, you can be sure that what you get on your plate is fresh. By the time I got to the dessert part of the meal, which was a heavenly serradura (a Portuguese dessert made of whipped cream and powdered biscuits), I was already sold on TPC Goa and wanted to know more about the project. As luck would have it, Drasty Shah, co-founder of TPC Goa was there to explain the thought process behind setting up such a unique venture. 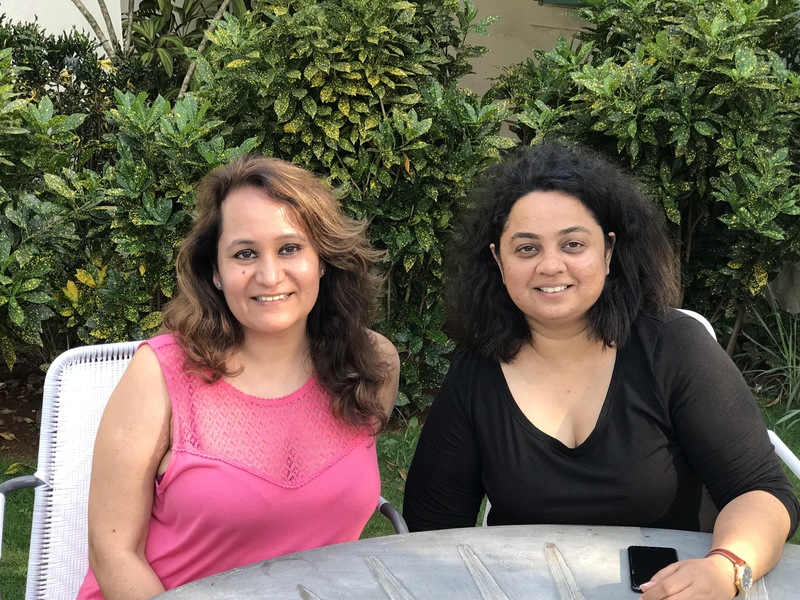 It was the success of its precursor, TPC Ahmedabad, which encouraged Drasty and her partner, Ekta Chopra, to expand to other places. 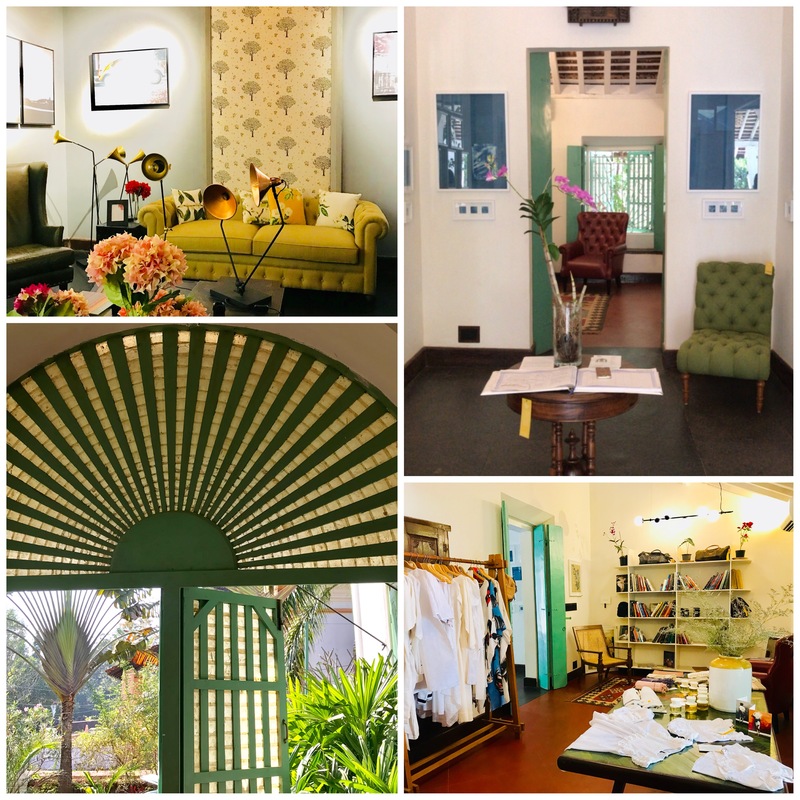 Assagaon, the cultural heritage district of Goa, seemed like an ideal choice for this “multidisciplinary space” that seamlessly integrates different spheres of art, design, music, food, literature, retail and hospitality under one roof, in addition to giving you a residential experience. Spread over 13,000 sq.feet TPC Goa has an indoor restaurant, outdoor café, a pool and six rooms for stay, each aesthetically designed by a different designer. The one that I stayed in called the ‘Green Room’ was decorated by furniture designer Neeta Kumar. While refurbishing the century-old villa to add modern amenities, Drasty and her designers have taken care not to alter the original design. 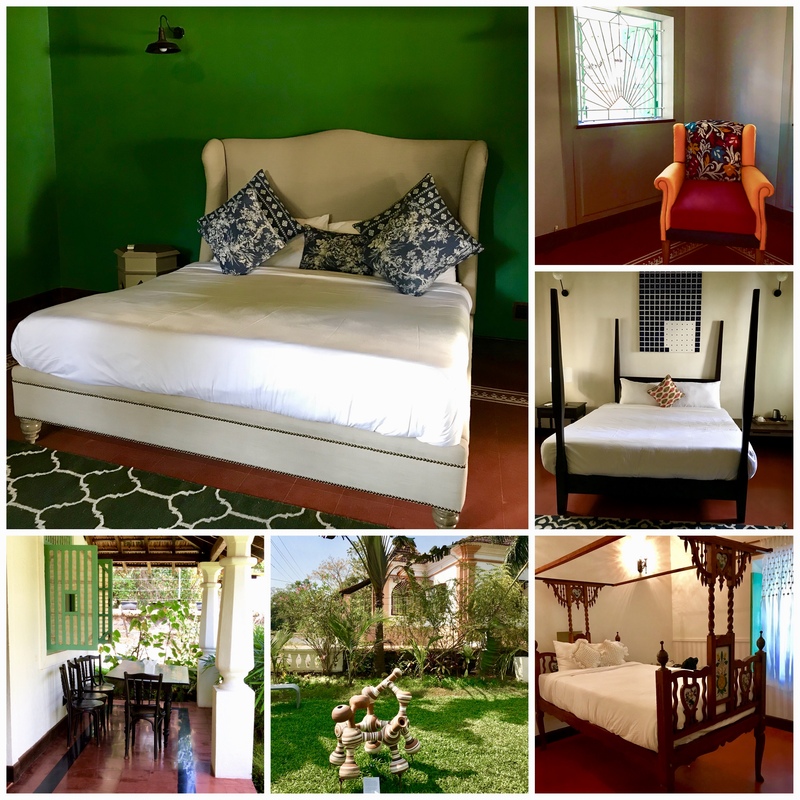 The Goan style balcão seating (extended balcony or verandah), tiled roofs, high ceilings, shuttered windows, hallmarks of Indo-Portuguese architecture, have all been retained giving you the true Goan-Portuguese flavour. Since the interiors double up as an art gallery, not once did I get the feeling that I was staying in a hotel. The vibe was more like living in an artistic sanctuary along with like-minded creative people. The model that Drasty and her partner Ekta work on is “collaboration and innovation”. The ever-changing creative programme ensures that there is always something new to come back to. Every year, each of the six rooms in the villa will be redesigned by a new set of designers and artists. So the ‘Green Room’ that I stayed in might not be there next time I am in TPC Goa. Under the platform of “sustainable collaboration”, till date, The Project Café has worked with more than 170 artists and designers from across the globe, acting as a bridge between the maker and the buyer. 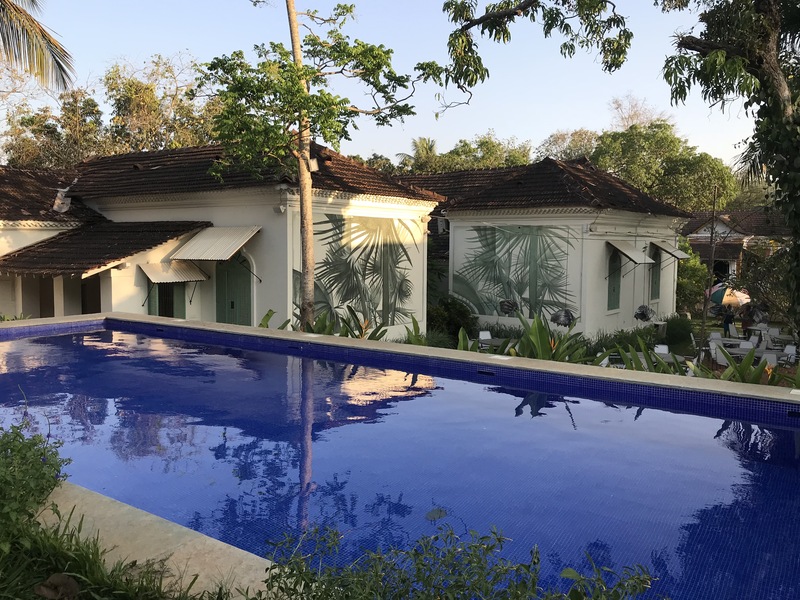 At TPC Goa alone more than 40 artists, curators and exhibitors have come on board ever since the property opened its doors to the public in December 2017. Artists like Dayanita Singh, Ruchi Bakshi Sharma, Nidhi Khurana, Thomas Louis, Jagrut Raval have exhibited their works here while Bihar-born, Berlin-based illustrator and storyteller Allen Shaw conducted a workshop on watercolours, sketching and travel diaries. While I was staying there, TPC Goa hosted a pop-up Portuguese dinner by Chef Antonio Leitão and Marta Fernandes, who go by the name of ‘twopacktravel’. 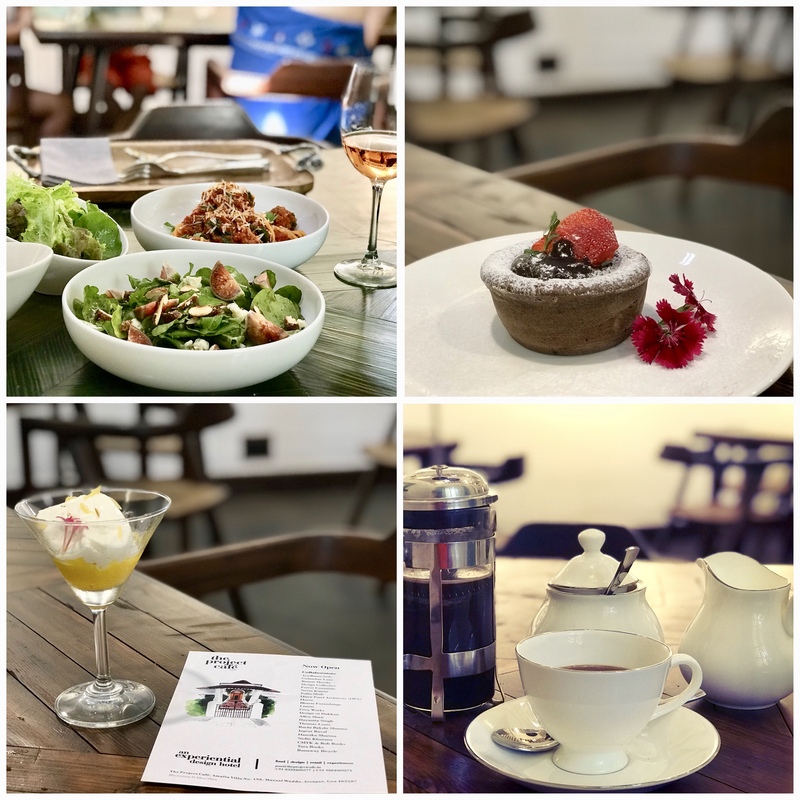 Judging from the response to the event which was over-subscribed, I can say that The Project Café Goa, with its tastefully curated events, has struck the right cord with neighbouring local and tourist community. This article first appeared in Vol 4-Issue 4 (May 2018-July 2018) of “The Luxury Collection Magazine”. All photographs published on the blog are mine.